Graphics is one thing, how it plays is another. I have 2 pros, 2 HDR 4K and 2 sound bar systems. Uncharted has average graphics but great storyline and great controls and different challenges. Forza is not as pretty as GT, but it plays brilliantly. God of War is a very good game but not the greatest. I’ll have another play on it as I played it once to the end. Horizon Dawn was a good balance of graphics and brilliant playability. Off to play the latest T.Raider. I've not played the other God of Wars and currently playing through Horizon, personally i think the graphics are way better in GOW atleast with the faces, i am playing on a good HDR enabled TV, but saying that i am loving both games. I got a few hours out of this -maybe 20 in total. So it depends what price you put on that. You are unlikely to keep coming back to it I reckon. *I* remember Sim Tower (lol) Notable as one of the few games you could actually play in a Window in Windows, rather than having to exit to DOS. Uncharted 3 was as if Naughty Dog forgot how to make an Uncharted game, definitely the weakest in the series. Just nothing like how an Uncharted game should be. I'm sure there's a good few people out there who could use a little help with this game... Use code Happy to bring the price down. Things do get easier as you get more used to it. The deathblow health skill is a must too. Didn't find this as tough as the first..bosses possibly easier but didnt fancy multiple play throughs. I'm fairly sure most people would prefer to save £2.50 if possible. Youd click one link and buy something for £37.50 , instead of clicking another link and buying it for £35? Well.. okay then. Only poor people want to save money? You're joking, right? I'm renting and it's on the tenancy that we can't drill any holes. Our only other option would be trailing cables everywhere and not being able to shut doors. Only because Apple can't manage to add an Ethernet jack to an iPad... But yes, I use a cheap £15 Belkin access port, because it does the same thing that this £150 box does. If I was skateboarding all around my 20 room LA McMansion whilst streaming, then maybe I'd go for this. You plugging that into your tablet and phone? Anyone with relevant expertise able to advise if this or the 3 module tp link deco M4 mesh WiFi is better? Kinda feel like this thread is trolling rather than actually voting on the deal! I agree the GamePass deal is good for a taster- and this is a good deal for anyone wanting to actually own. Heat from me! I only bought one...expires in May 2020 for me but gonna hope black friday or prime day has something good. Of course you will be able to carry over to PS5, I wouldn't stack more than maybe 10 years, think gaming will go full streaming, playstation NOW may become the next thing by then. Considering how long this game is, this price is an absolute steal. Found in Sainsbury's Newport, South Wales for £7.49 (only saw one on the shelf and purchased). Hopefully nationwide (generic price tag). Is the garlic bread PSVR compatible? Picked this deal up in Leeds, Colton store, so guessing it's nationwide. Thanks man. Shadow of war for 7 quid, heat added. Hi, Is this RE2 the new remake version? Anybody have this? Any good? It's not apex legends, it's an entirely different game. Sorry I meant Starling, have you made a successful purchase before? Has Revolut worked for you on the store before? Yeh I know what you mean! 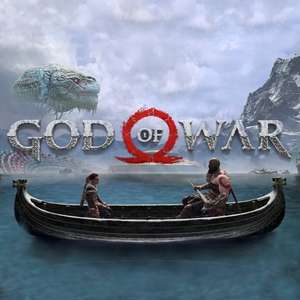 I have a fairly quiet Easter Weekend coming up so fancy picking up God of War as I should have time to play through it. There is a site called PSN4 that let's you price compare against different regions and I see that cheapest GoW price is about £18.50 on the US PSN site. That means I need to add a US account on top of my Turkish and Indonesian ones! But hopefully getting used to it now. Preaching to the choir. Hope I got that metaphor right. I thanks to Joey Deacon got a turkey and Indonesia accounts. Got psplus with Indonesia. Very happy with everything. Shame it was 24. I'd like to think some people are getting amazing deals. But 24 is still amazing close to launch. With DLC it's like game of the year version that are normally very expensive. Well then you'll be pleased to hear it was actually £24 I remembered wrongly earlier (sorry!). I also got RDR2 on launch day for about the same price from Indonesia although I never really got into that game....I do plan to give it another go. I also joined the Turkish store and bought Undertale and Burnout Paradise Remastered for cheaper prices than you get in the UK. You have to set up a new account for each region and get a Starling card so it takes a bit of work but the savings have paid off. Some posters on here have said it's unethical, illegal or not worth the hassle. I don't know if they right or not but I think the very worst that can happen is that they will void my purchases and I have played most the games I bought already. I reckon it would be unlikely they voided anything anyway just based on gut feel. Ah man, missed that. 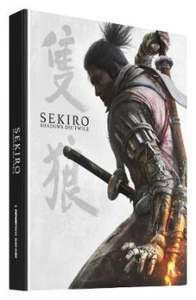 £18 with all DLCs close to launch. Bargain of the century. Haha I was going to mention Joey! I know Joey gets his deals voted cold but I bought the Special Edition from Indonesian store for £18 soon after launch after using a 15% voucher that Joey posted. I was able to play the game on my Euro region account and all the DLC worked fine. The game is holding it's value very well in the UK. I usually wait for games to drop below £20 before buying them so I'm glad I picked this up earlier. I LOVED the game I thought the story and action was lots of fun. I got the platinum and didn't find the collectibles boring to get. The story in the DLC was not as good but it was fun to pick up the game each time a DLC was released and do a few fighting battles. I would have preferred for them to do 1 longer DLC episode then 3 little ones. The Hammerhead boss was ridiculously easy I beat him first time after just mashing the buttons a few times. If you like a point and click game then this would be £5 very well spent. If you liked Grim Fandango, then you will enjoy this. Nice level of humour in the game, and you get two games for your money. Think I paid £10 for this about a year ago, it was well worth it. This is actually both Inner World games. I enjoyed them. The PlayStation 4 is a compact and advanced digital hub with a growing library of next gen games to choose from. The control pad has increased functionality compared to the PS3, and inside the PS4 packs a noticeably increased processing speed. Sony have made the console compatible with a number of other devices, and by adding RemotePlay and SharePlay, placed more emphasis on the social aspect of gaming. First designed by Sony as a CD-ROM peripheral for the Super Nintendo, the original idea, named Super Disc, was never made available due to an array of licencing issues. Instead Sony decided to revamp the product and call it the PlayStation. Even at this early stage, the company was planning on the system becoming a multimedia platform, with more engaging and intuitive gaming capabilities. With a refined design and a new name, the PlayStation was launched in Europe and the US in 1995 – it quickly became a worldwide hit. As part of the fifth generation of consoles, the PlayStation competed successfully with the Nintendo 64 and Sega Saturn, winning a far greater market share. In 2000 the PSone – a redesigned version of the original console – and PlayStation 2 followed. These sixth generation consoles were both popular bestsellers, boasting significant aesthetical and technical improvements. According to Sony, the PlayStation 2 had sold over 150 million units worldwide by 2013, making it the world's most successful home gaming console. Released in 2006 the PlayStation 3 is the successor to Sony's previous consoles, the first with a Blu-ray drive for playing games and watching films. It has a suite of innovative software, a high performance cell processor and advanced connectivity, with built-in Bluetooth 2.0 and wireless capabilities. The PS3 has a huge library of titles and remains an excellent media player. Seven years later, in 2013, the Sony PlayStation 4 was launched. How Many Versions of the PS4 are Available? The PS4 originally appeared in a single edition back in 2013, while two additional updates were announced in September 2016: the PS4 Pro and the PS4 Slim, both of which delivered significant improvements on the original console. A basic PlayStation 4 without a bundled game is available in either Jet Black or Glacier White, with an internal memory of 500 GB, or the more recently released 1TB Ultimate Player Edition. A PS4 can also be bundled with a game like EA SPORTS FIFA 17, Assassin’s Creed: Syndicate or Call of Duty: Infinite Warfare. Some PlayStation 4 consoles are sold as special edition bundles; these include the 20th Anniversary Edition, the Star Wars Battlefront Limited Edition and the Batman: Arkham Knight Limited Edition. Other bundles are sold with additional extra items, like a second DualShock 4 controller or a PlayStation Camera. The Original PS4 – When it appeared in 2013, the PS4 was a step forward, not just for Sony’s Playstation range, but for gaming as a whole. With an advanced CPU and GPU, as well as 16 times the DDR RAM offered by the PS3, Sony designed the PS4 to last as long as possible, and that’s exactly what they achieved. The PS4 came with an all-new Dualshock 4 controller with a touchpad and motion detection functions, as well as an optical sensing camera, making it suitable for motion capture-based titles. It was also optimised for use with Playstation VR (see below). The PS4 Pro – Launched in September 2016, the PS4 Pro was Sony’s answer to innovations by Microsoft’s XBox range, and a major revamp of the PS4 architecture. Key departures from the original PS4 included support for 4K video, twice as much graphical processing power, enhanced wi-fi connectivity, more streaming features and slicker sharing functionality. In total, the processing power of the PS4 Pro is double that of its older brother (4.2 vs 1.84 teraflops), while there’s also 1GB more memory that is exclusively cordoned off for non-gaming services like Netflix, making moving between apps and streaming TV or video a generally faster, more streamlined procedure. Dubbed the “world’s most powerful gaming console” by the press, the PS4 Pro is a must-have for those who need to be right on the cutting edge of gaming technology. The PS4 Slim – However, there’s another option for less committed gamers who still want a high-performance PS4: the PS4 Slim. 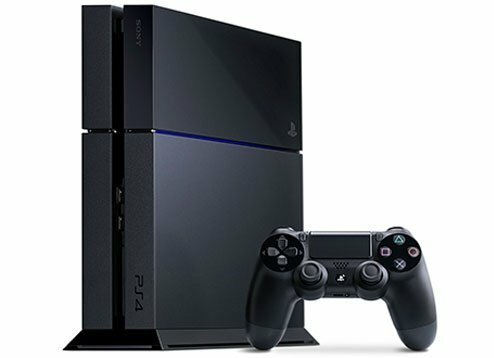 Also released in September 2016, the PS4 Slim is essentially a standard PS4, but with much more efficient internal architecture that results in a slimmer chassis and lower weight. It matches the original PS4 in terms of CPU and GPU power (but adds a handy 1TB of hard disk storage into the mix), has USB 3.1 instead of USB 3.1 ports, support for 5 Ghz wi-fi and Bluetooth 4.0. In other words, Sony have updated the connectivity to reflect wider developments since 2013, but kept everything else relatively similar. As usual, both the PS4 Pro and the PS4 Slim are available in a range of different bundles. The PS4 Pro comes in a standard bundle with 1TB of storage space and a Dualshock 4 controller. However, if you have a favourite gaming franchise, you might want to buy a themed PS4 bundle to save money on setting up your gaming centre. Examples include PS4 Pro bundles with Call of Duty: Infinite Warfare, Star Wars: Battlefront, FIFA 2017 or Grand Theft Auto V, but you can also purchase bundles with NOW TV passes included if you intend to use your PS4 to watch Sky TV content. The PS4 Slim comes in 500GB and 1TB models, and – again – you can choose from plenty of themed bundles. Fans of Horizon: Zero Dawn, Final Fantasy 15, Uncharted 4, LEGO Star Wars, Grand Theft Auto V or Watch Dogs 2 can buy the console and the games together, making big savings. It might also be worth noting that you can buy a range of different colours of PS4 – including customised designs from companies like Colorware, which might be a fun way to personalise a gift. The primary reason most people buy a PlayStation 4 is to play video games. As one of the eighth generation of consoles it makes titles like Destiny: The Taken King, Metal Gear V and Black Ops III look incredible. It also supports numerous cross-platform titles, along with remastered PS3 games and many downloadable or streamed games. Unlike the Wii U which is slowing down on the production of new releases, the PS4 has many fresh titles in the pipeline. The PlayStation 4 and its games are not region locked, so you can play them anywhere in the world. Another revolutionary feature is, that you start a game on the PlayStation Vita or PS4 and just finish it on the other device. To find out more about the latest titles and future releases, you can browse through webpages like IGN's Upcoming PlayStation 4 Games, Metacritic's PlayStation 4 New Releases or the New and Upcoming section on the PlayStation website. Although the Wii U offers access to the entire Wii back catalogue, and the Xbox One is rolling out Xbox 360 compatibility, the PlayStation 4 is not backwards compatible with any other products in the PlayStation series. 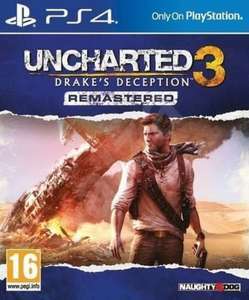 However, there are a number of PS3 games available to play via the PlayStation Now games rental and streaming service. Sony has also released a small number of PS2 titles as digital purchases – these games have been rendered in HD and support the PlayStation 4's social elements. The PlayStation Network is an online service which connects PlayStation 4 users to a range of digital media. At the PlayStation Store you can buy all the games and further features and can benefit from deals and exclusive content. The Weekly Deals are all collected on one website. You can access entertainment from providers like Netflix, BBC iPlayer or YouTube, plus a range of other sport and music networks. Similarly, PlayStation Video has an extensive catalogue of movies and TV shows which can be streamed from the Cloud to the PS4. A comparable service, Xbox Live Gold, is available with the Xbox One, but the Wii U has no subscription account. A variety of USB connected gadgets can be charged from the console and the Blu-ray player enables you to watch your film collection without having to connect another stand alone device to the TV. Additionally, it is possible to play DVDs and 3D Blu-ray movies, but the PlayStation 4 does not support CDs. The Xbox One can also play Blu-ray films and DVD's, but the Wii U is limited to a proprietary disc reader – so that’s a plus for the PlayStation console. As well as PlayStation Music which enables you to listen to your favourite music on Spotify while you game. If you tend to have your console on in the background, Sony has introduced new sounds as another extra on the PlayStation to complement their dashboard, which you can enjoy as background music. There are also upgraded features brought over from the PlayStation 3 which make it a multi-purpose console. Browsing the internet is easier and faster than on the PS3, the interface is clear and colourful, and load times are reduced. From scrolling through social media posts, to checking e-mails and shopping, the PlayStation 4 offers it all from the convenience of its wireless controller. A big development in the PlayStation-universe is the Share-button on the wireless controller – you can share memorable moments with others by only pressing one button. For gamers who enjoy social interaction with their friends and other players, the PlayStation 4 now has the ability to sync a PSN account with Facebook, so you will be able to add other players as friends. To speak to someone one to one, or a number of people there is party chat, but also video chat which can be used like Skype, to speak to distant friends and family. To get in touch with a friend who spends a lot of hours gaming, you can save time by contacting them through the PlayStation 4 to find out if they are online before sending a message. Using a PlayStation 4 app called Twitch TV, you can show content from your games and then chat about it with anyone who is watching the stream. There is also a game called The Playroom which uses your own room as a backdrop and enables you to become more familiar with the new improved DualShock4 controller. Some players have created a set, then used this app to produce a mini TV show and interact with their audience. What Accessories are Available to Go With the PlayStation 4? In-Ear Stereo Headset– To cut out noise and distractions, Sony has created an In-Ear Stereo Headset which can be plugged in to the DualShock 4 controller. To use the controller for longer between charges, the headset has an internal battery. The headset can also be used with a smart phone, PS Vita or tablet. DualShock 4 wireless controller– Extra DualShock 4 controllers are available in a range of colours, from gold to red, blue to camouflage. They have the same familiar utility you would expect, but also motion sensors, a speaker and a touchpad. Check our PS4 controller deals. PlayStation Camera – The PlayStation 4 camera enables you to use the system menu hands-free and login becomes instant, as face recognition technology completes the job automatically. It is compatible with certain games and features, such as The Playroom and can be used to personalise live streams or game play. PlayStation 4 Wireless Stereo Headset 2.0 – To experience gaming in 7.1 virtual surround sound, these noise-cancelling PlayStation 4 headphones are ideal. The DualShock 4 Charging Station – This dock can charge up to two controllers at the same time, so you always have a charged DualShock ready. PlayStation 4 Vertical Stand – To save space around a TV, some people prefer to position their PlayStation 4 vertically. This stand is the ideal solution. PlayStation VR – PS4 VR isn’t actually a different version of the console. Instead, it’s a hardware add-on that allows gamers to inhabit VR worlds, offering capabilities that (at present) other gaming systems can’t match. VR is a headset that resembles models like Oculus Rift, and works with the PS4 Camera and PS4 Move controllers. The range of VR-compatible titles is obviously far lower than the PS4 range in general, but it’s increasing all the time, with popular games like Batman: Arkham VR, Until Dawn: Rush of Blood, Job Simulator and Star Trek: Bridge Crew offering immersive gaming experiences. It’s also cheaper than high-end computer-based VR systems like Oculus, while delivering comparable (if slightly lower quality) performance. The PS4 vs. the Xbox One: Which System is Right for You? Microsoft and Sony dominate the high-end console gaming market with their Xbox One and PS4 consoles, respectively, but which one is the right option for you? Both the Xbox One S and the PS4 Pro are advanced, powerful consoles that are at the top of their class. In terms of sheer graphical prowess, most gamers would struggle to tell them apart on most titles, but there are some exceptions. For instance, if you are into VR gaming, Sony’s PS4 Pro is currently the way to go. With its 4K resolution and the quality of PS4 VR, it reduces some of the queasiness that gamers often feel due to low frame rates when playing VR titles. In general, the PS4 beats the Xbox One S in all technical departments. This means that games with high processing loads and graphical requirements will perform and look slightly better. However, that won’t be discernable to every gamer, and it won’t destroy your gaming experience. On the debit side, the PS4 Pro doesn’t come with a Blu-ray drive, which will irk those with large HD movie collections. So, if you want to mix gaming with HD streaming or movies, the Xbox One S may well be the better option. 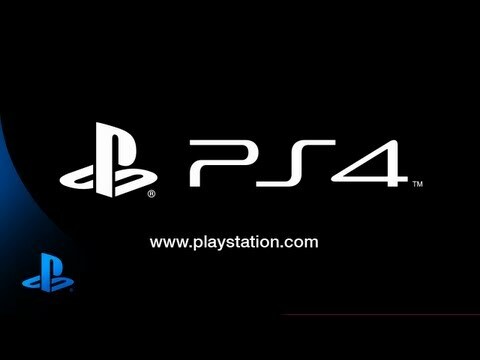 It’s also worth noting that some games will be more enhanced than others on the PS4 Pro. For example, the visuals on Resident Evil 7 are much sharper while the frame rate on Battlefield 1 is smoother. Again, these are cosmetic improvements, but they might be game changers for serious fans. In summary, the Xbox One S is ideal for movie fans and run of the mill gamers (although watch this space to see whether the new Project Scorpio console blows Sony’s system out of the water). The PS4 Pro is a better all-round gaming system, for now. When you come to buy a PS4 cheap, where and when you buy your system will dictate how much you can save. There’s no reason to pay list prices for Sony’s flagship console. Instead, take advantage of savings whenever possible and cut the PS4 price as much as you can. The place to start looking for cheap PS4 games and PS4 console deals is the hotukdeals listings. Here, you’ll find PS4, PS4 Slim and PS4 Pro bundles listed from some of the UK’s leading gaming retailers. GAME, Currys, Argos, Tesco, ShopTo and Simply Games are all included as merchants, and all of their latest offers are collected for you to choose from. If you just want a cheap PS4 console or upgrade your current one, check out simple bundles with the console and a controller, as these will tend to be cheaper. However, if you are new to the PS4, go for bundles with added games, or extra hardware like PS4 VR included. If you buy everything separately, you’ll be adding costs that you don’t usually need to pay, so shop smart to make savings. If you are looking to buy an original PS4, you might also be able to find great deals on pre-owned systems, or discounts from Amazon and eBay sellers. Again, these should be listed at hotukdeals whenever they appear. When you make your purchase also makes a difference. Black Friday is the best time of year to replace your ageing games console and find a cheap PlayStation 4, as retailers slash their prices to kick-off the festive retail period. The January Sales can also be a good time to bargain-hunt, as can the run up to big sporting events, when consoles and sports games tend to sell in large numbers. Look out for deals as the launch of next generation consoles approaches as well. The PS5 may well appear within a year or two, and when its launch date nears, the PS4 will steadily dip in price. Whenever you buy your next PlayStation, be sure to check the hotukdeals listings and our PS4 price comparison – the best places to find PlayStation 4 deals including cut-price games and PS4 bundle deals.